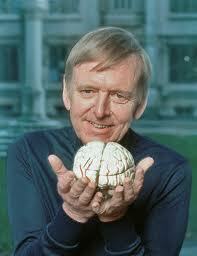 Psychologist Julian Jaynes (1920 – 1997) asserted that humans were not fully conscious until around 4,000 or 3,000 years ago, the time when the two hemispheres of the cerebrum of our brain (left and right, physically connected by the Corpus Callosum) were unified through pressures of natural selection in newly “civilized” environments. In his book The Origin of Consciousness in the Breakdown of the Bicameral Mind (1976), in which he argued that ancient peoples did not access consciousness (did not possess an introspective mind-space), but instead had their behavior directed by auditory hallucinations, which they interpreted as the voice of their chief, king, or the gods. 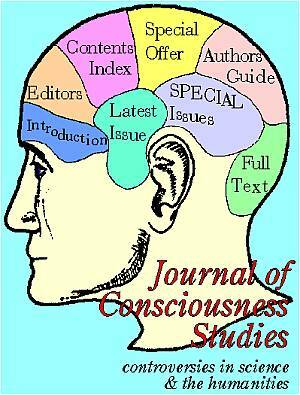 Jaynes argued that the change from this mode of thinking (which he called the bicameral mind) to consciousness (construed as self-identification of interior mental states) occurred over a period of centuries about three thousand years ago and was based on the development of metaphorical language and the emergence of writing. (Source). Jaynes’s theories and assertions are not universally accepted by the scientific community, but he has asked questions that need to be asked, according to one critic. Jaynes never completed the second book he had intended to write, but he wrote lectures and essays which, together with commentary and essays by others since then, have culminated in a follow-up book which I have read: Reflections on the Dawn of Consciousness, edited by Marcel Kuijsten. Reading this book stimulated me to explore related areas which I will discuss under the following headings, before finally returning to the question in this article’s title regarding auditory hallucinations and God. The cerebrum or cortex is the largest part of the human brain, associated with higher brain function such as thought and action. The cerebral cortex is divided into four sections, called “lobes”: the frontal lobe, parietal lobe, occipital lobe, and temporal lobe. The cerebellum, or “little brain”, is similar to the cerebrum in that it has two hemispheres and has a highly folded surface or cortex. This structure is associated with regulation and coordination of movement, posture, and balance. 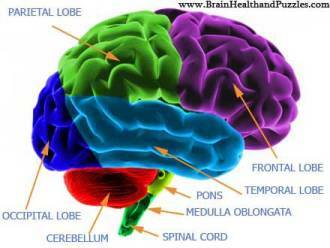 The limbic system, often referred to as the “emotional brain”, is found buried within the cerebrum. Like the cerebellum, evolutionarily the structure is rather old. Underneath the limbic system is the brain stem. This structure is responsible for basic vital life functions such as breathing, heartbeat, and blood pressure. Scientists say that this is the “simplest” part of human brains because animals’ entire brains, such as reptiles (who appear early on the evolutionary scale) resemble our brain stem. (Source for “brain structures”). The corpus callosum is a structure of the mammalian brain in the longitudinal fissure that connects the left and right cerebral hemispheres. It facilitates communication between the two hemispheres. It is the largest white matter structure in the brain. It is a wide, flat bundle of axons beneath the cortex. 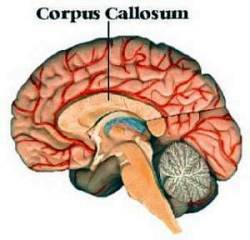 Much of the inter-hemispheric communication in the brain is conducted across the corpus callosum. (Emphasis added). Collective unconscious is a term of analytical psychology, coined by Carl Jung. It is a part of the unconscious mind, expressed in humanity and all life forms with nervous systems, and describes how the structure of the psyche autonomously organizes experience. 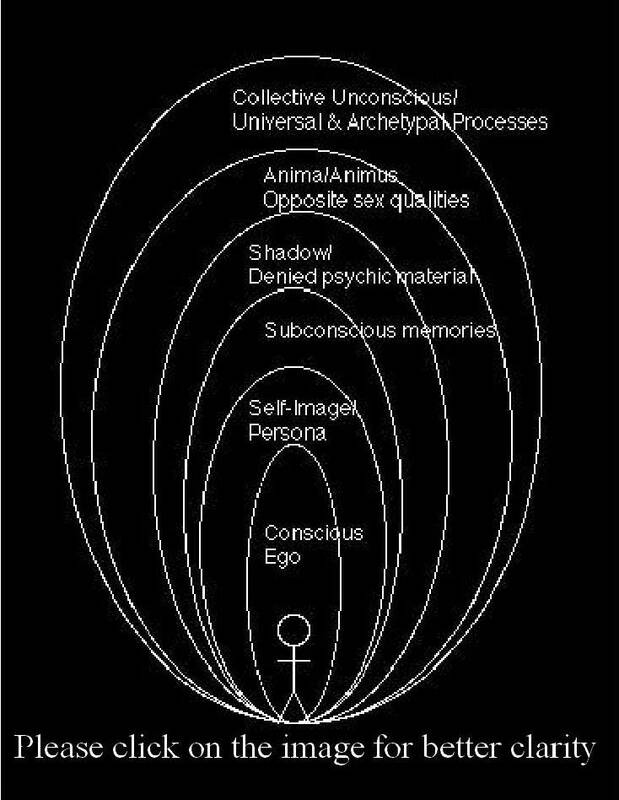 Jung distinguished the collective unconscious from the personal unconscious, in that the personal unconscious is a personal reservoir of experience unique to each individual, while the Collective Unconscious collects and organizes those personal experiences in a similar way with each member of a particular species (emphasis added). A Brief Look at the “Self:” Is There Such a Thing? My main source of information in this realm is found in a scholarly book, Self: Ancient and Modern Insights about Individuality, Life and Death, by Richard Sorabji. Persian physician and philosopher Avicenna (CE 980 – 1037) saw the “essence” or soul as independent of the body. 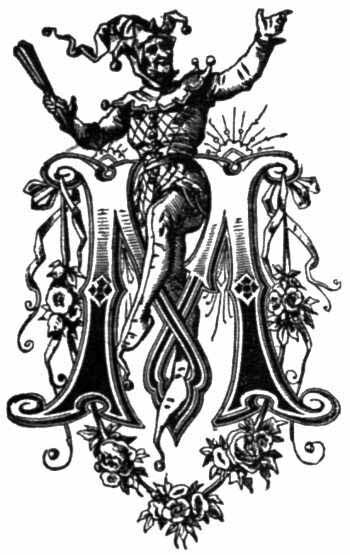 Christian religionists, and philosophers raised in the Christian tradition, also saw the soul, not the body, as “I.” René Descartes stated, “I am distinct from my body and can exist without it.” It is Descartes who famously said: cogito ergo sum (“I think, therefore I am”). Chapter 1 of the book is titled: The Self: is there such a thing? It is 15 pages in length and summarizes major arguments made in more recent times, from Descartes (1596 – 1650) to the present. Some of the names will be familiar to the reader, even if he or she has not read their writings: Locke, Hume, Kant, Nietzsche, Wittgenstein, Elizabeth Anscombe, Norman Malcolm, Tony Kenny, Galen Strawson, Derek Parfit, and Daniel Dennett. Here is the simile that occurred to me as I read this book: each of us who refers to “I,” is like the fruiting body of a great mushroom, the mycelium of which lies deep and extensively in the earth and neighboring plants. When the mycelium reaches a certain stage of growth, it begins to produce spores on hyphae (stalks), which are arranged into intricate structures called fruiting bodies (“mushrooms” that carry and distribute spores—seeds). (Source). To carry the simile further, we each emerge like a common mushroom from the great mass of humanity that is the main body (God? The unconscious?) of the organism; we grow our seeds and eggs, some small portion of which will connect to form new tissue to add the main mass. Whether or not this simile of mine is apt, there continues to be argument among philosophers on the subject of the self. In the ending page of chapter 1, the author indicates the chapters wherein he will offer disproof of what some major thinkers have opined about the existence of a self: Immanuel Kant, the Buddhist Śântideva, the Stoics, Plutarch, and Derek Parfit. I cannot say there is or is no “self,” especially as distinct from all other living things upon which the human race depends. What I perceive is that it is a word, an abstraction, that refers to something we consider real, at least for practical purposes and, possibly, for spiritual purposes (how can I connect with God if there is no “I”?). I leave the topic here, but will include in a final comment at the end of this essay. A comprehensive understanding of consciousness will likely require theories of many types. One might usefully and without contradiction accept a diversity of models that each in their own way aim respectively to explain the physical, neural, cognitive, functional, representational and higher-order aspects of consciousness. There is unlikely to be any single theoretical perspective that suffices for explaining all the features of consciousness that we wish to understand. Thus a synthetic and pluralistic approach may provide the best road to future progress. Unconscious mechanisms are responsible for the construction of the model of the external world that enters consciousness… Unconscious mechanisms are responsible also for the comparator process that either kicks of a motor program as ‘going according to plan’ or detects novelty and error…(and it is an open question whether) the correction of error by modification of the activities of the unconscious servomechanisms… is achieved in conscious or unconscious processing…. … the present boundary between conscious and unconscious… hinges on… any percept or process that one cannot report being aware of at the time of its influence on behavior (including cognition, emotion, perception, etc.) is unconscious. This includes perception that has been conscious in the past but is not when its effects are produced. Such scholarly texts are almost impenetrable to the layperson, but one can easily see the issues under the headings “self,” “consciousness” and “the unconscious” are not settled, either within a philosophical context or a biological context; and, that our lives are conducted more from what we call the unconscious than from the conscious. (I have not included more references to this latter assertion, and invite the interested reader to do his and her own research, including the book by Kuijsten that started my journey through this inquiry). Extensive research has been undertaken with respect to auditory hallucinations within psychiatric populations (e.g. : schizophrenia, bi-polar disorder, dementia, etc). In the same vein, there has been some research conducted with non-psychiatric populations, thereby indicating that auditory hallucinations are not necessarily a pathological phenomena, but part of the human experience. Julian Jaynes has opened up a new and fascinating realm of inquiry into the human condition. I find it not unbelievable that normal, rational humans still hear voices, but suppress them because they are now considered to be unacceptably deviant. I strongly believe that we should listen to those who hear voices and interact with them politely, not as if they need drugs to be more “normal.” Maybe we can learn something from them. Maybe they are in more contact, than the “normal” we, with the great substance or spirit that lies beneath the human condition, perhaps the whole mammalian condition… perhaps God, or some of the ancient gods and archetypes? This entry was posted in Archetypes, Consciousness, The Soul and tagged Archetypes, auditory hallucinations, Carl Jung, Collective Unconscious, Julian Jaynes, Limbic System, Marcel Kuijsten, Richard Sorabji, The Origin of Consciousness in the Breakdown of the Bicameral Mind. Bookmark the permalink. Hi, Ron. Happy 2016! My heartfelt best wishes to you and Eva. I wanted to share something with you that occurred this past July 2015. It aligns to the “auditory” phenomenon that this article speaks about. I had not paid attention but the voice I heard indeed did feel like if “the voice comes from above and to the left of the person (indicating right hemisphere origin)”. I felt it more so on the left side and not so much from above. The following is my story. I was on a plane with my family coming back home from Vancouver, Canada. Many people were still boarding. I was sitting in an aisle seat. I decided to read while they finished boarding the plane. I couple stopped by me to put their carry-on in the above storage bin. I didn’t look up, but I could sense them. All of a sudden, as clear as day, I get the message “The luggage is going to fall”. From past experience I’ve learned not to question. I thought “well if it is going to fall, I’ll move my body”. So I leaned away from the aisle, kept reading, and about 10 seconds later the carry-on luggage fell. It hit a little bit of my shoulder but without force by the time the man caught it. If I had not moved, it would have fallen on my head and face. I wear glasses so who knows what type of injury I could have sustained. But alas, somehow I was meant not to experience injury so I was forewarned. I thought you would enjoy learning of this story. Thanks for your story, Lu. As far as I could tell, this is the only post you have on Jaynes. Have you considered writing more about the bicameral mind and related stuff? This is a favorite topic of mine. I won’t bother to link my own posts about this, as they’re too numerous. And more than a few of them are a bit unwieldy in length. Jaynes inspires my verbosity. I noticed that you have more posts on Jung. I always think of Jaynes and Jung in relation to one another. Jaynes was critical of Jung, but that is fairly standard among scholarly types. More people are critical of Jung than read Jung in any detail. The same goes for the critics of Jaynes. Others are so much more educated in the realm of Jaynes, that I don’t feel qualified to go much further with him, other than to refer to him occasionally where his work may intersect with another topic I am exploring. I have joined the Facebook group https://www.facebook.com/groups/the.origin.of.consciousness/? to stay tuned in. You seem to have a decent grasp of history. That naturally touches on Jaynes’ work. Also, you seem fairly well read, including some heavy material. I’d imagine you could have much more to say about Jaynes’ hypotheses. But I understand if you don’t feel motivated in that direction. Still, you might be interested in thinking about the bicameral and post-bicameral minds in relation to your present interest of zen, as both deal with consciousness and the ego-mind. Jaynes’s theory is ever-present in my mind, whatever and wherever that is. I am currently in the very early stages of correlating the work of Joseph Campbell, Suzuki/Zen, Carl Jung, and probably others into a personal understanding of “it all.” There are also some interesting theories and facts presented by Graham Hancock on pre-historical civilizations (sunk by the Great Flood upon the end of the Last Glacial Maximum).